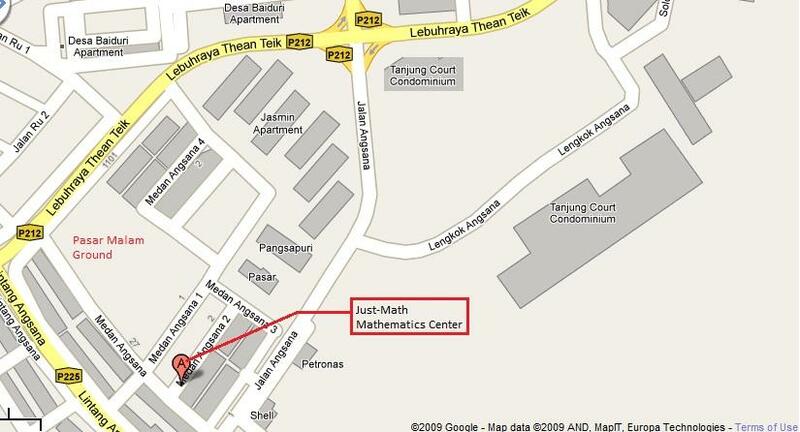 If you are in Bayan Baru, Penang, you can join our Math learning thru the internet. What if you can learn mathematics at home? What if it is really effective? The learning of Mathematics through the Internet will benefit students and parents. Your child comes home from school feeling really tired. Over the next hour he will have to prepare himself to attend a tuition session. Imagine the hot sun, the traffic congestion, the parking problem, the parents time and the cost of travelling. You can avoid all the above issues by learning at home. Imagine learning materials, related videos, and practice materials readily available to you on a daily basis through WhatsApp. Would that be really convenient? Just-Math can give you that comfort in learning math through WhatsApp. We will deliver all learning worksheets and the accompanying video through WhatsApp and ready for you to study as soon as you are ready. Once you have completed your assignment, just snapshot and send it back to us via WhatsApp for our review and comments. We will guide you in your studies. Our assignments / worksheets are designed with small incremental difficulties so that learning will not be difficult for you. It is like a one to one learning plan, depending on your child's current ability in mathematics. You can take a look at my YouTube channel by searching "Just Math Mathematics Development Center" in YouTube. If you prefer your child to learn at home, you can pick our learning through WhatsApp channel to take advantage of the convenience and cost of learning fees (RM50). Worksheet assignments will be provided daily (except Saturday, Sunday and Public Holidays) with supporting videos if needed. You can be assured that this channel will be suitable for your child as we have put in a lot of effort to make learning through internet as our main delivery channel. Head to our Main Page to find out more or to register.